Years back I would drink warm milk in the evenings to help me feel drowsy. It was a yummy ritual…until I found out milk didn’t like me. I was lactose intolerant. Even though one comes from a nut and the other a cow, almond milk and regular milk are pretty similar because they both contain tryptophan. That lovely little amino acid which, when combined with carbs, makes you feel sleepy. 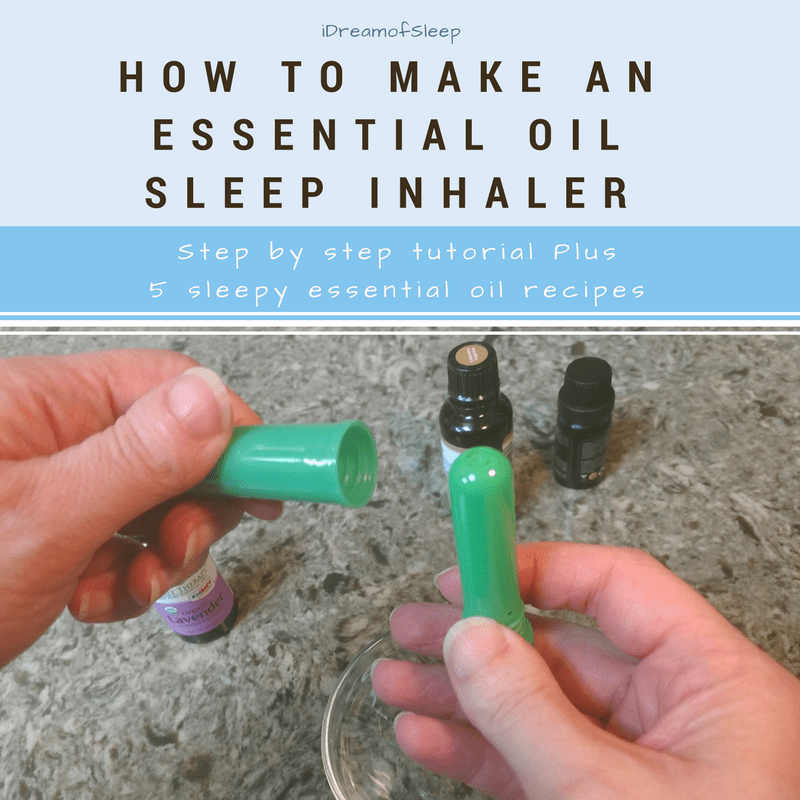 This recipe is really good for helping you relax because it’s chock full of other sleep promoting ingredients, too. Raw honey and ceylon cinnamon combined with the almond milk make it a really restful sleep drink. 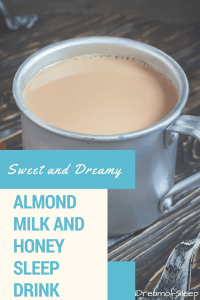 I really didn’t want to give up warm milk before bed, so I came up with this warm almond milk sleep recipe, and I have to admit I think it’s tastier than my plain old hot milk I used to drink! 5 So can Warm Almond Milk Help you Sleep? I’ve already mentioned that almond milk has tryptophan, but it’s not just a one hit wonder because it can help insomnia in more ways than one. Almond milk contains a healthy dose of magnesium. Why does that matter? Magnesium is an essential mineral your body has to have in order to sleep. 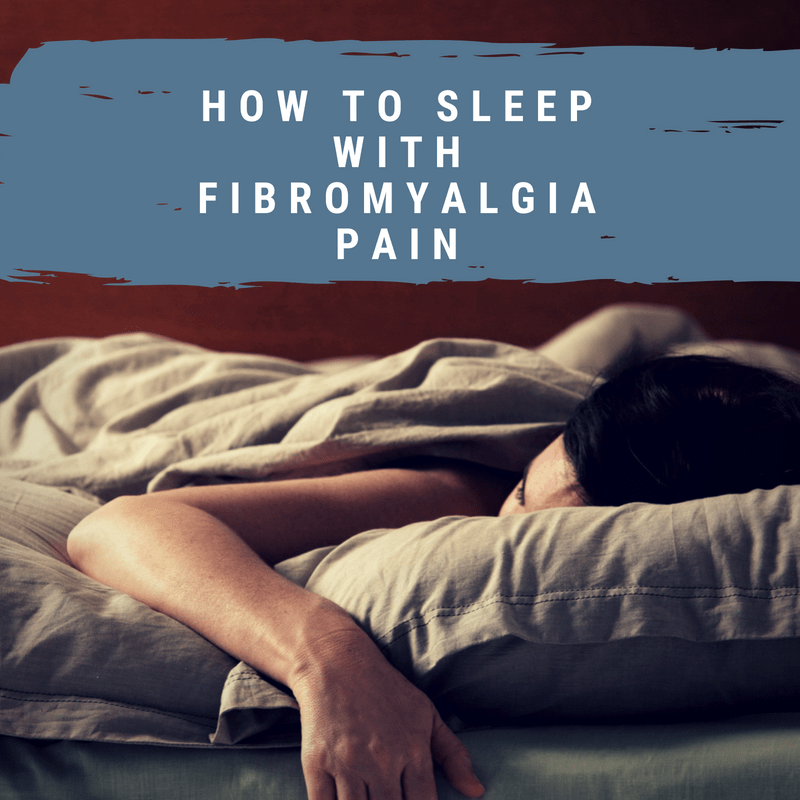 If you don’t have enough magnesium in your body, it’s likely you’ll have insomnia as a result. 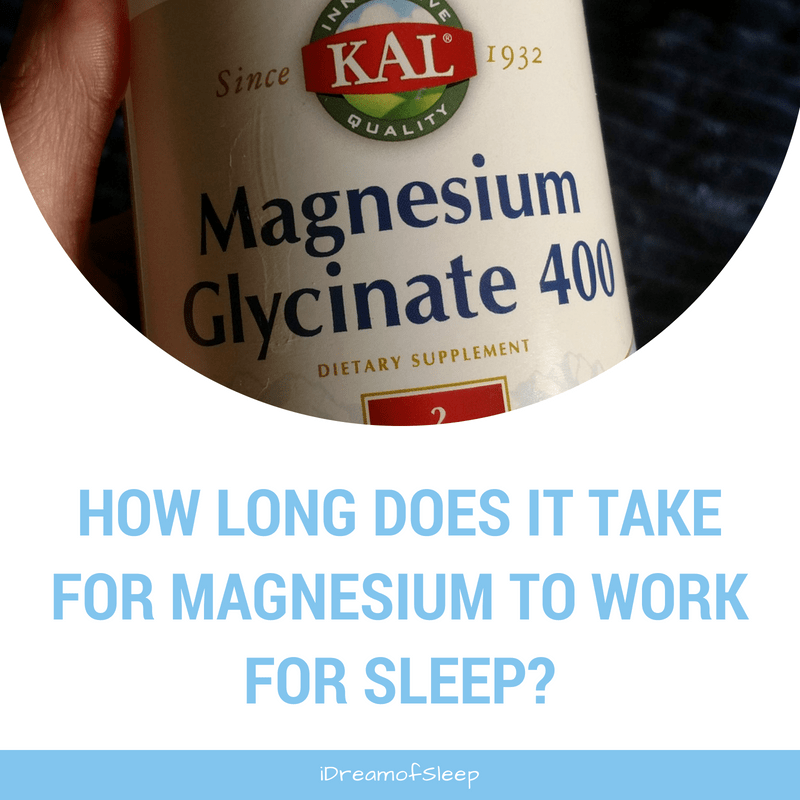 So if you have chronic insomnia, magnesium deficiency should be something to consider. Almond milk also has calcium. Calcium isn’t what you think of when it comes to supplements that help sleep. I know I didn’t make the connection. But your brain uses calcium to produce melatonin, a hormone that’s secreted after dark to start the sleep process. If you’re feeling froggy, you can make your own almond milk from real almonds. I’m lazy, so I just buy almond milk from the store and it works just fine. 🙂 If you have trouble finding almond milk at your store, you can buy boxed shelf stable almond milk online. My dad was all about living a natural life when I was growing up, so we used only honey for sweetening. Maybe it’s a coincidence, but I never really had trouble sleeping until after I had grown up and made my own food choices. I did start eating more sugar, and, yeah, that can contribute to sleeplessness. Personally, I think honey was helping my sleep along the way. 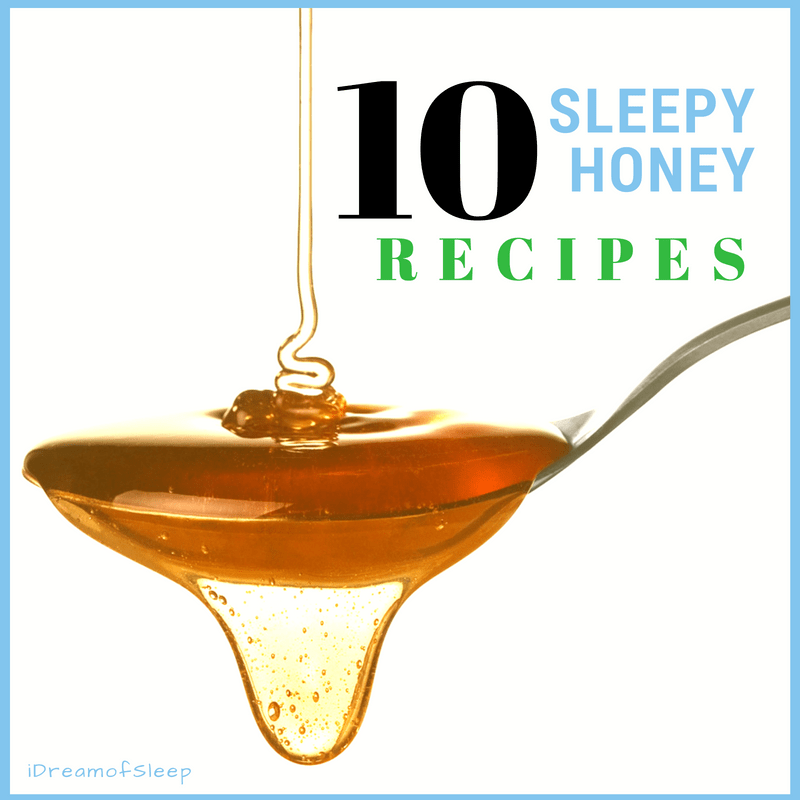 I believe in the sleep benefits of honey so much, I use it as an ingredient in almost all of my sleep drink recipes. The only exception is in my sleep tonic recipe I use blackstrap molasses as a sweetener. And even then I’ll add a shot of honey just for the heck of it. 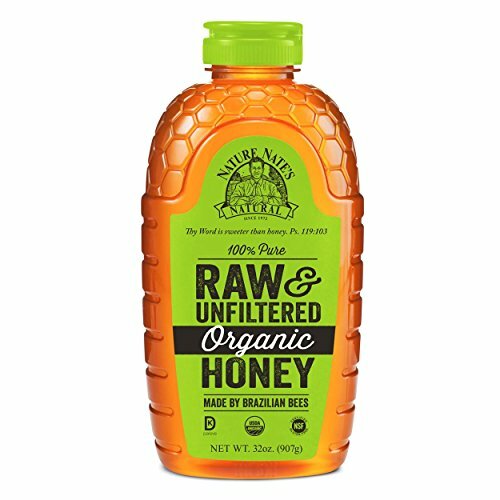 It’s important to use only organic raw honey , preferably from your local beekeeper. Commercial honey is pasteurized and nearly all of its nutrients are cooked out. Even scarier, a lot of honey sold in supermarkets isn’t even 100% honey, they’re high fructose corn syrup! I’ve found when it comes to insomnia drinks that it’s best to drink it about an hour or so before you go to bed. I like to make an evening ritual. I drink my warm almond milk and honey, then take a long soak in the tub with my sleepy bath salts. By the time I’m done, I’m ready to get into bed. ===> To make it more convenient for you, I’ve compiled a shopping list that has everything on it you’ll need to make your warm almost milk sleep recipe. Only use Ceylon cinnamon. Most cinnamon in stores isn’t cinnamon at all, it’s cassia, which doesn’t have the same properties as Ceylon cinnamon! Place the almond milk in a saucepan and heat it until just before it starts to boil. Remove from heat and stir in the honey and the vanilla bean paste. Next, whisk in the Ceylon cinnamon and pour into a mug. The cinnamon tends to settle, so you may need to keep stirring as you drink your warm almond milk and honey sleepy time drink. If you’d like, you can kick up your sleep drink by adding ingredients to enhance the effectiveness (and flavor!) of your almond milk and honey insomnia drink. Add 1/4 tsp of freshly grated nutmeg. Nutmeg shares similar chemical properties with tranquilizers. Don’t use more than 1/4 tsp though. A little is good, and too much can cause health problems. More is not better when it comes to nutmeg. I recommend using whole nutmeg you’ve grated with a nutmeg grater. Powdered nutmeg isn’t as potent; meaning, you won’t get the same sleep benefits. Using whole nutmeg helps keep you from accidentally using too much because you only grate what you need. Add 1/4 tsp of extra fine grain Himalayan pink sea salt. Himalayan salt also has little known sleep properties. It works with the honey to help regulate your sleep hormones and also has a slight touch of magnesium. Add 1 tbsp of blackstrap molasses. Speaking of magnesium, just 1 tbsp of molasses has 48 milligrams of magnesium. It also has 41 milligrams of calcium, which can work with the magnesium to help promote deep R.E.M. sleep. Just be sure to add the molasses first before you add the honey and then taste to see if you want more sweetness. Molasses can overly sweet and overpowering, especially if you’re not used to the flavor. So can Warm Almond Milk Help you Sleep? Well, maybe. Insomnia is a very subjective thing because my sleep problem may not be your sleep problem, you know? This sleepy drink helps me relax, but it may not work for everyone, especially if you haven’t cleaned up your sleep hygiene. 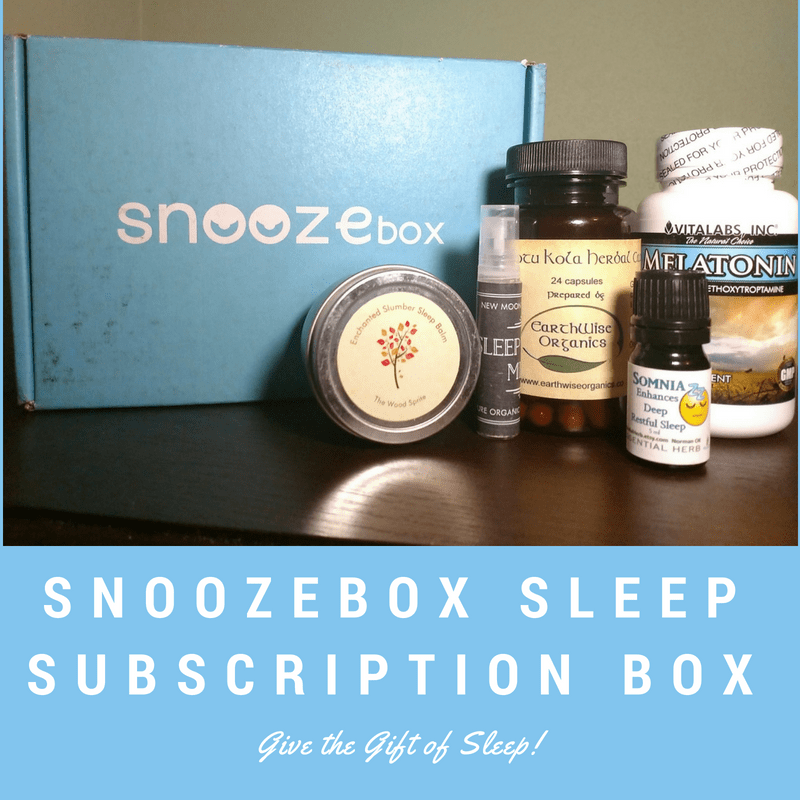 There’s no one magic silver sleeping bullet, especially if you’re not giving a natural sleep remedy every chance to work. 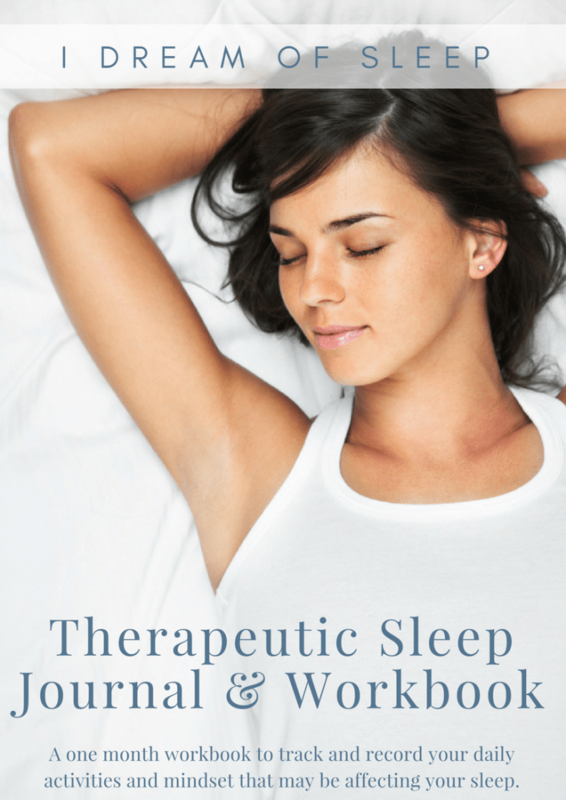 Improving sleep is a cumulative effect. 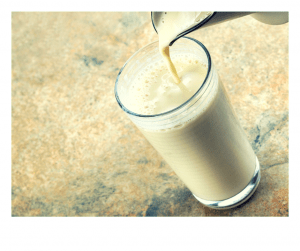 This drink has a lot of ingredients that are known to improve sleep like magnesium, calcium, and tryptophan. It definitely is one of the tastier natural ways to promote sleep. If you’re looking for natural sleep aids, this drink is a good place to start. 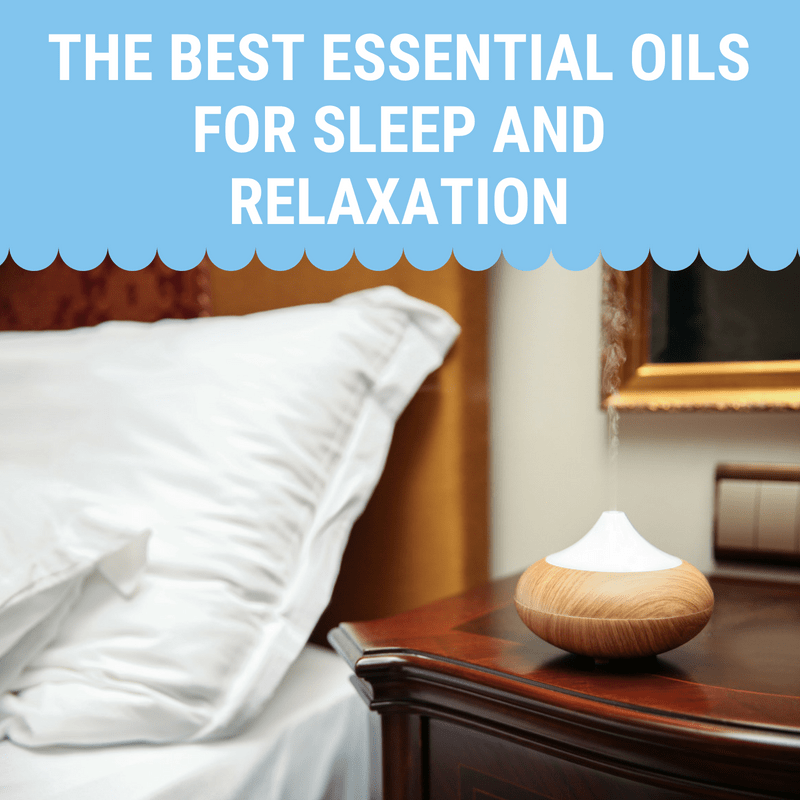 It’s one of the tastiest ways you’ll get relaxed and sleepy!